When your car needs quick auto repairs and routine Ford maintenance, come down to Baxter Ford. We have two Ford service centers in the Omaha–Council Bluffs metropolitan area, making it easier than ever to get the professional car care you deserve. Swing by anytime for a quick oil change and brake inspection or schedule a service appointment for more serious repairs to get your vehicle the attention it deserves. Thanks to our state-of-the-art facility and factory-trained technicians, we can take care of any Ford service you need done. View our new Ford service specials before your visit to see if you can save on important maintenance. You can contact the Baxter Ford service department if you have any questions or visit our Ford service centers in Omaha, NE, and Elkhorn, NE, to speak with our teams in person. 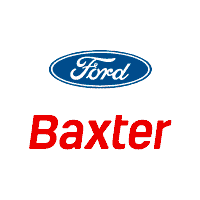 Schedule Ford service at the closest Baxter dealership today to ensure that your car is running at its best! Our factory trained & certified technicians are specialists, not general mechanics, who utilize the most sophisticated manufacturer specific diagnostic equipment to accurately test your vehicle. Our service departments feature the latest diagnostic and repair equipment available, ensuring our factory trained & certified technicians have access to the latest techniques & technologies to keep your vehicle on the road. Enjoy our customer lounge while you car is being serviced, complete with free Wi-Fi, refreshments and entertainment for the kids. Not wanting to stick around? Take advantadge of our on-site shuttles or reserve an Enterprise rental, we’ll help connect you between home or work while your vehicle is being serviced. Bring your car in for any routine maintenance. Our technicians use certified tools and genuine manufacturer parts. Frequent oil checks and oil and filter changes are vital to extending the life of your engine. Don’t wait until your battery leaves you stranded. We can check, repair or install car batteries. Our factory-trained technicians have experience with most brands are are ready to tackle any engine. Low fluids cause mechanical problems. We’ll check and flush your transmission, brake, steering, washer and coolant fluids. Stay safe on the road with quality new tires made for your specific vehicle and driving conditions.